Gold Coins have been sought after the world over for centuries for both their beauty and value. The Egyptian Pharaohs coined them first around 2,700 BC, but they were mainly given as gifts and were not actually used as a form of money. They weren't used for commerce much until 560-546 BC when the ruler of Lydia, King Croesus, issued gold coins into general circulation. Around the same time the Chinese minted the Ying Yuan. They continued to be a primary form of money until the 20th Century. A monetary system in which paper notes are backed by pre-set, fixed quantities of gold.. During this same time frame most countries of the world stopped making gold coins as currency. In early 1933, following the signing of Executive Order 6102 by President Roosevelt, which made the private ownership of gold illegal, thousands of these coins were turned in to the U.S. Government and melted down. Few coins managed to survive, thus increasing their value today. Gold Bullion CoinsBULLION COIN: Precious metal that has been made into a coin which has little or no numismatic value and trades at a price close to spot. are made for investment purposes by many government mints around the world. While they may be marked with a monetary value on the coin, they are not actually intended to be used in commerce. They are actually collected for their intrinsic valueIn numismatics, intrinsic value is the value of the metal the coin is made of, in many cases a precious metal such as gold or silver. They have very little numismatic value, meaning that they are bought and sold primarily because of their gold content with very little consideration as to their age, condition, rarity or mintages. There are some cases however, where mintages were low, where a collector market has developed. Old gold coins, like the U.S. Saint-Gaudens gold Eagles, on the other hand, get their value from both their intrinsic value and their numismatic value. Collecting gold bullion coins would probably be considered more along the lines of coin investing rather than coin collecting, considering that they are made primarily for the purpose of precious metal investment. However, it often becomes difficult to distinguish between a coin collector and a coin investor. Every coin collector would like to see their collection increase in value over time, so it becomes a sort of investment. The coin investor, on the other hand, buys the gold bullion coins for the purpose of making a profit from them at a future date, then often becomes intrigued by their beauty and history along the way. In my opinion, if you find gold bullion coins intriguing, with their various themes, designs and images, and you have the money to buy them, they can make a great collection. On that same note, however, old gold coins also can be found which have beautiful designs and images. Almost every coin collector would love to have a gold coin collection but few can afford more than a few modern gold bullion examples. If you are interested in a gold coin collection, keep in mind that these coins can run into a lot of money depending on the market price of gold. When gold reached $1000 an ounce in early 2008, many of the old gold coins, which had managed to escape melting in the early 20th century, were melted down for their gold content. No one knows yet how many were melted down, but we do know that the remaining coins suddenly became more rare and valuable. The amount you would pay above the spot gold price for modern bullion gold coins. The premium includes the costs of making and distributing the coin and a small dealer fee, usually between 5% and 15% above spot gold. 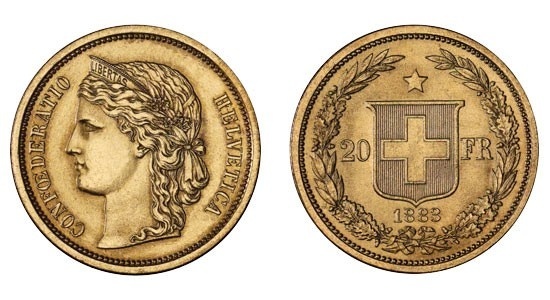 For old or rare coins there would be an additional premium because of the numismatic value that is based on scarcity, quality, demand and intangible factors. above spot gold price such as the American Gold EagleGold Eagles are modern United States gold bullion coins made by the U.S. Mint since 1986. They are made of an alloy of 91.7% pure gold (22 karat)., Canadian MapleLeaf, Australian Nugget and South African Krugerrand. 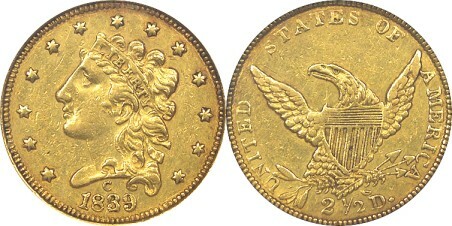 For coins with more numismatic value you should collect old gold coins like the Saint-Gaudens Double Eagles. With these old American coins, you get the intrinsic value of the gold encased in a beautiful 100 year old coin which could increase in value because of rarity. When building a precious metal coin collection be very careful that you do not buy counterfeit coins. It is a good idea to buy only coins that have been certified by a reputable third party grading service or, at the very least, by a competent expert that you trust.